Colorado is an outdoor enthusiast’s dream and packed full of adventure year-round. With so much to see and so little time, we’ve highlighted a few awesome spots to swing by on your road trip through the Rockies. The Rocky Mountains are home to some of the most epic snow conditions in North America. With ski resorts scattered throughout the state, it’s time to boot up, strap in, and make it happen. Vail Mountain Resort - Vail is known for being one of the largest ski resorts in the world and home to some of the best snow conditions in Colorado. The extensive terrain offers fresh powder to even the youngest of shredders, while the experts can bomb the seven back bowls. Be ready to add a couple days to your road trip after visiting Vail Ski Area. Telluride Ski Resort – Located in the remote San Juan Mountains, Telluride is one of the most scenic towns in the U.S. If you’re looking for a serious amount of vert, you’ve found your next adventure. Reaching a maximum of 13,150 feet and averaging 300 inches of fresh powder each year, Telluride has a solid mix of runs and enough terrain to challenge even the most extreme skiers and snowboarders. Breckenridge Ski Resort - Breckenridge offers the complete package. From freshly groomed runs through the trees to epic alpine bowls that you can only access through the highest ski lift in North America, Breckenridge is the perfect place for anyone looking to push their limits to the next level. Colorado’s mountains, forests, canyons, and deserts combine to form a breathtaking natural world that draws outdoor adventurers and trailblazers from all over the United States. These National Parks are waiting to excite and awaken your sense of discovery. Roam Rocky Mountain National Park - This spectacular wilderness is considered the jewel of Colorado’s National Parks. It’s been singled out for its insanely high-elevation ecosystems, sensational wilderness, and elk-ridden forests. You can also enjoy the Rockies from the comfort of your car while you cruise along Trail Ridge Road, the highest continuous paved road in the US. Enjoy breathtaking views of pink, blue, and white wildflowers that paint the elevated tundra. Surfing Great Sand Dunes - Looking to live life on the wild side? Stop by Great Sand Dunes National Park on your Colorado road trip. Be sure to pack your snowboard (and skimboard!) for an adventure-filled day at the beach. That’s right, during the spring, water from Medano Creek flows down through the valley and creates a temporary lake with waves caused by surging water. Locals love to post up with lounge chairs and blankets, while the thrill-seekers bolt down North America’s tallest sand dunes on their snow or sand boards. Rock Climbing in Black Canyon of the Gunnison - This monstrous canyon has similar features to the Grand Canyon including a series of deep gorges carved over the course of two million years by the thundering Gunnison River. The Black Canyon of Gunnison is where expert climbers push their physical limits and try to tackle the tallest vertical wall in the entire state - The Painted Wall. Now that we’ve given you an array of activities to do in Colorado, get out there and make it happen. 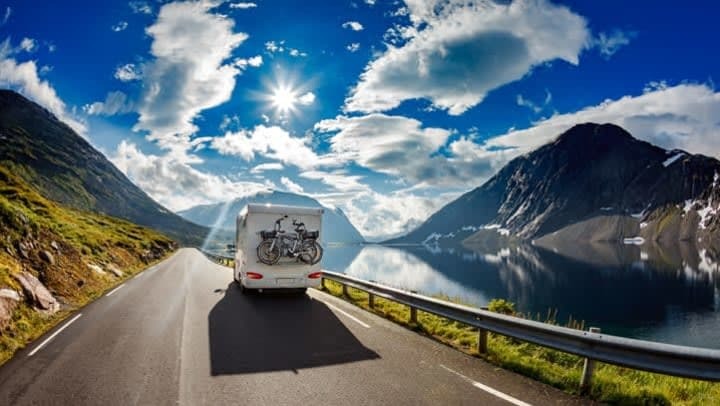 If you live in Louisville, Colorado, stop by your StorQuest Self Storage unit to pick up gear and then hit the road from our conveniently located facility. Close to I-25, we make it easy to visit all your favorite Colorado road trip destinations.